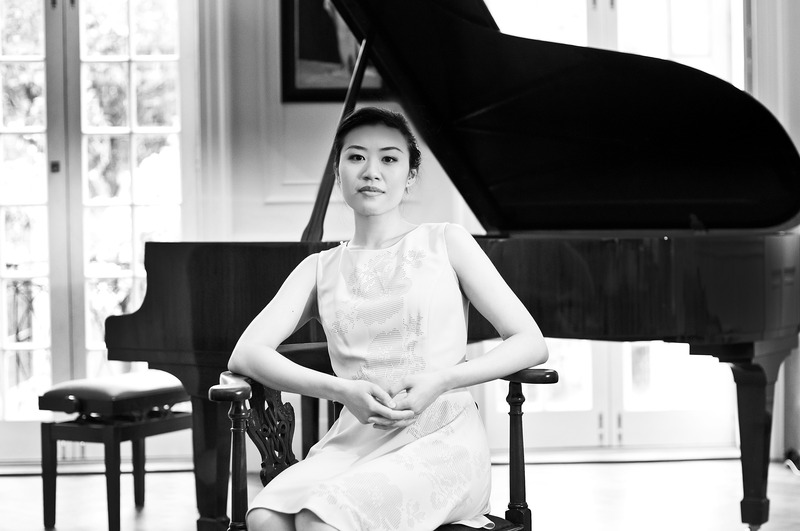 Pianist OLIVIA SHAM performs on both modern and historical pianos, with a particular interest in nineteenth-century historical instruments and repertoire. Born in Australia, Olivia completed a Bachelor of Music at the Sydney Conservatorium of Music (The University of Sydney) on a scholarship of Outstanding Academic Achievement and Merit, where she studied with Elizabeth Powell, and graduated with First Class Honours and the University Medal. She was then awarded a full scholarship to the Royal Academy of Music in London, where she completed a Master of Music with Professor Christopher Elton and graduated with Distinction. She has recently finished her doctorate on Liszt performance practice at the RAM, with the support of an Overseas Research Award. For this, she performed a public six-recital series of Liszt’s music at the RAM, including performances on historical pianos. Olivia has won numerous prizes and awards, including keyboard winner of the Symphony Australia Young Performer of the Year (2003), the John Allison Piano Scholarship (2006), and prizewinner in the Australian National Piano Award (2006). Olivia was a Making Music Philip & Dorothy Green Young Concert Artist (2013), and performs for the Keyboard Charitable Trust (fortepianos) and Weltklassik concerts (Germany). Her concerto experiences includes performances with orchestras including the Melbourne Symphony, Adelaide Symphony Orchestra and Ku-Ring-Gai Philharmonic Orchestra (Australia), Fort Worth Symphony Orchestra (USA), Bacau Philharmonic Orchestra (Italy), and Finchley Chamber Orchestra and Guildford Symphony Orchestra (UK). Olivia is currently an Honorary Research Fellow at the Royal Academy of Music. An active recitalist on both modern and historical instruments, her performance interests have taken her to museums and collections of musical instruments all over Europe and the UK. In April 2016, Olivia directed an international conference-festival (“The Historical Pianist”) at the Royal Academy of Music and at the Cobbe Collection. Her debut album, Liszt and the Art of Remembering, was released by Avie Records in November 2015 to critical acclaim.